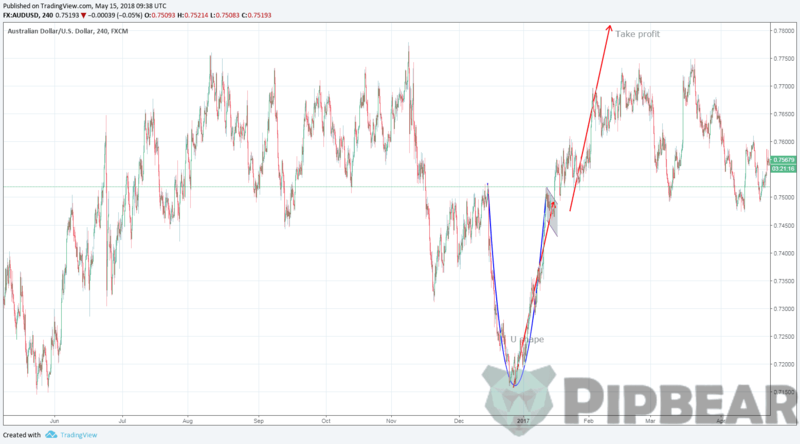 How to distinguish the true cup and handle pattern from a false one? Cup and handle is a lucrative pattern of the upward trend continuation. 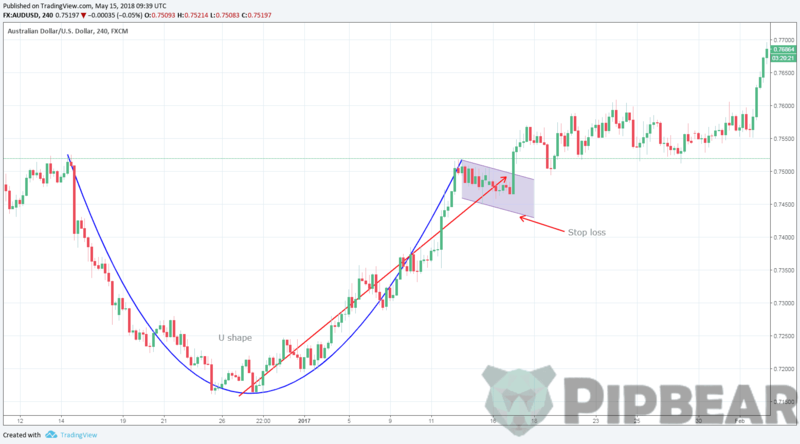 This pattern is a technical formation which usually appears rarely but provides traders with an excellent trading result and a high profitability percentage. 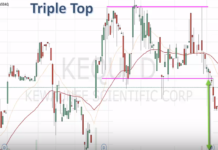 What is the way to find out the uptrend continuation pattern? Before reading the article and writing your questions in comments section, I recommend to watch this video. It’s not long, but covers biggest part of questions on the topic. First of all, cup and handle is the trend continuation pattern only. This pattern was introduced and popularized by William O’Neill, famous American trader of Forex and stock market. The pattern resembles a cup of coffee or tea, which, for sure, is present near the keyboard of each trader. 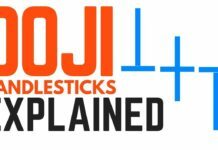 Let’s examine the conditions for the emergence of this candlestick analysis pattern, the way to use it in trade and some features. The most important condition for the formation of the trend continuation pattern is the bullish trend presence. That being said, how does the cup form? The left side of the cup is a correction to the previous ascending movement, the bottom of the cup is the consolidation phase, which can take the cavity form (U-shape), and the right part of the cup is an upward movement. The correction depth (cup) should not be more than 80% of the previous trend. How does the handle form? As it can be seen in the picture above, the handle is the correction of the price to the right side of the cup. As a rule, such a correction takes the form of a flag pattern. Visually, the handle starts where the right side of the cup ends. An indispensable condition is the correction depth (the length of the cup handle) which is less than 50% of the right wall of the cup. Any retracement more than 50% invalidates the cup and handle formation. This pattern is forming for long time. The longer it lasts, the stronger the trend continuation actually is. It only actually materializes once the price breaks through the resistance level of the handle. This is the signal for us to enter into the trade. When the left wall of the cup is formed, the trading volumes gradually decrease, while forming the bottom of the cup; they remain low and start to increase when the right wall of the cup is formed. We can see a sharp increase in trading volumes when there is the breakdown of the resistance level. Cup and handle pattern formation was preceded by a strong upward trend. Otherwise, there can’t be any cups. Cup and handle patter’s reliability depends on the timeframe. The higher the timeframe, the more reliable the pattern actually is. Resistance level breakdown may be false and the price rotates back within the handle. This option often occurs if the cup and handle is too long. The optimum size of the handle is considered when it is 5-15% below the full length of the right partof the cup. Cup and handle pattern correctness can be determined arithmetically. For this it’s necessary to find the arithmetic mean between the high of the left part and the low of the bottom of the cup. It’s necessary to calculate the average arithmetic mean for the high and low of the handle the same way. Next, it’s necessary to compare the two values that are obtained. In the true cup and handle pattern, the average arithmetic mean of the handle will be larger than the average arithmetic mean of the cup. 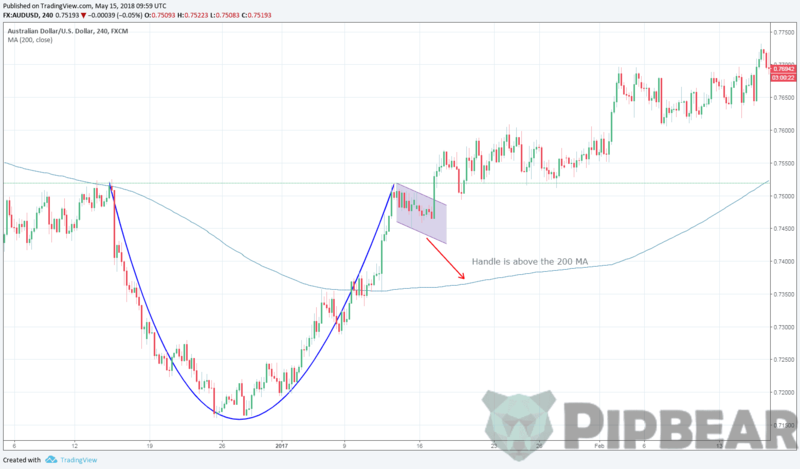 Another criteria for the truth of the cup and handle pattern is the position of the handle relative to the moving average with a period of 200. In the true pattern, the handle is above the MA (200). Standard way: This method involves opening the position after the breakdown of the resistance level. Stop-loss is placed below the candlestick, which broke through the resistance. Aggressive way: As it was mentioned above, most often the pen of the cup is the «Flag» pattern. The aggressive way involves entering the market after the breakdown of the flag’s cloth. Stop-loss is placed below the candlestick, which broke through the cloth. 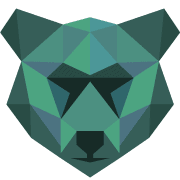 Conservative way: The conservative way, in accordance with the classical technical analysis rules involves breaking the technical line, rolling back to it and entering the position only after the price has been cut off from the line. Stop-loss is placed below the bump candlestick. Take-profit, as in all other TA patterns, corresponds to the pattern’s depth. 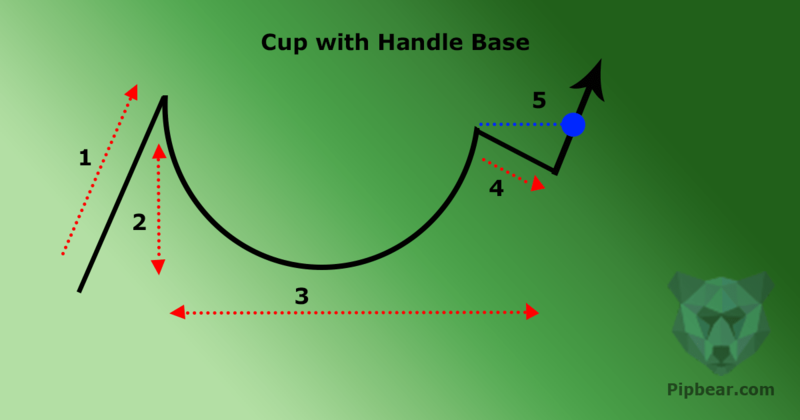 Measure the distance between bottom of the cup and break of the handle (Picture 4). 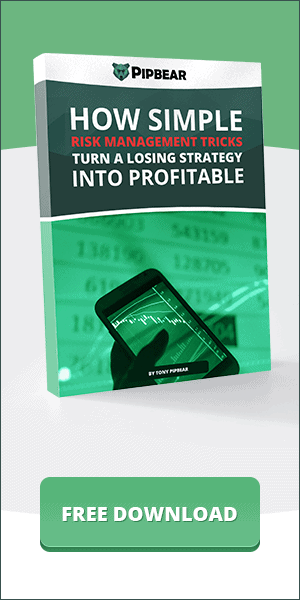 Place your stop loss in accordance to your risk management tolerance and trading plan. 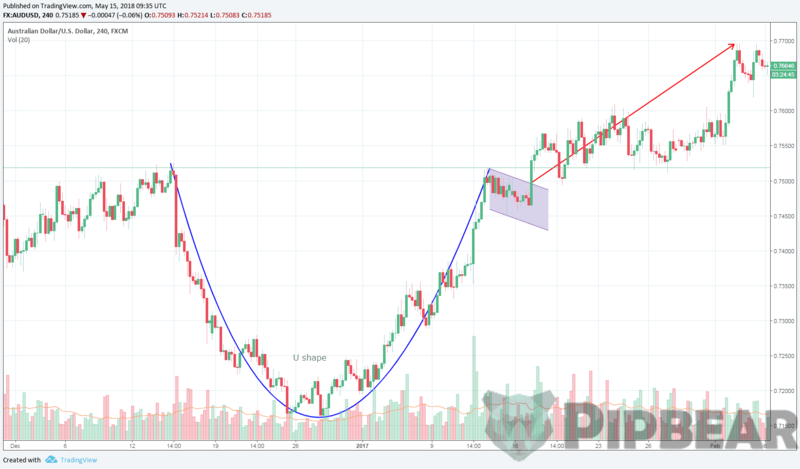 Cup and handle pattern’s advantage is a high probability of its working out, naturally, if all criteria of the truth of the pattern formation are observed. Pattern’s disadvantage is that an ideal pattern can be met rarely in Forex due to the large amount of indicators necessary for its validation. Since the bottom of the cup is usually the price consolidation, the upward movement, after the breakdown of the resistance level, is relatively small, which forces the trader to calculate the risk/profit ratio more carefully. The pattern is recommended for use on timeframes from H4 or higher. 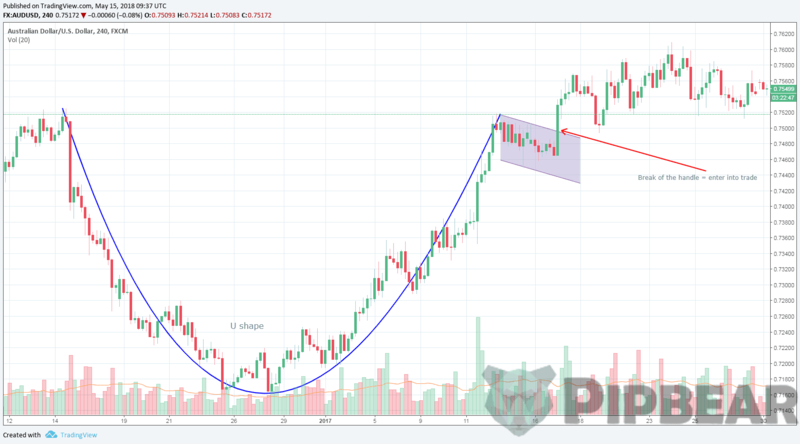 As we mentioned above, cup and handle is a long-term pattern, its formation can take up to several months, which, in fact, can be considered to be a disadvantage. So, we can say that cup and handle pattern lags behind its colleagues — such trend continuation patterns as flag or triangle. Nevertheless, cup and handle pattern is simple, reliable and quite profitable. 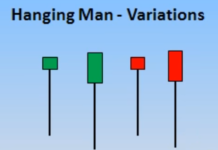 We hope that this candlestick pattern will take a worthy place in your toolkit for trading. Next articleHow to Use the Awesome Oscillator? It would be great if you could show some real situations with these explanations. Maybe some that are perfect and some that are not perfect that you would still trade on. Is there opposite to pattern of cup handle to make sell positions as we use cup handle for buy position? when looking at the stock, at what time frame should I look at the stock? Like 3 months, 1 year, 1 month?